Give the gift of FUN with Build-A-Bear Workshop® gift cards! They’re easy to give and fun to get! When you give a gift card to Build-A-Bear Workshop, you’re giving a fun experience and friend they’ll always remember. 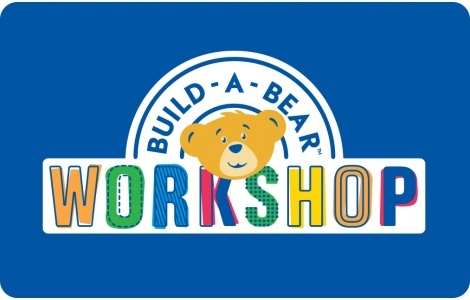 Build-A-Bear Workshop offers an interactive make-your-own furry friend retail-entertainment experience in approximately 400 stores worldwide. Kids of all ages can create their own furry friend and customize it with clothing, sounds, scents & accessories. Visit buildabear.com to find a store near you. National Gift Card is the best place for you to order Build-A-Bear gift cards in bulk. We are the experts in all things gift cards and can set up your gift card solutions program for you today. Please contact us for more information on bulk, direct-to-recipient, or individual gift card fulfillment for your gift card program. Contact us here or call us at 888-472-8747 today!